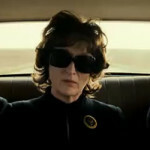 Another hugely anticipated 2013 prestige film with one of the most impressive casts of the year, August: Osage County is based on the Pulitzer-winning play by Tracy Letts (who also wrote the adaptation) and is directed by six-time Emmy winner John Wells. Meryl Streep, Julia Roberts, Ewan McGregor, Chris Cooper, Abigail Breslin, Benedict Cumberbatch, Juliette Lewis, Margo Martindale, Julianne Nicholson, and Sam Shepard star in this emotionally explosive tale of deep-rooted family dysfunction. Don’t let the chipper music in the trailer (and Breslin’s presence) fool you – this ain’t Little Miss Sunshine. Letts doesn’t do cute; his other plays that have been made into films include Killer Joe and Bug (both directed by William Friedkin), if that gives you any clue. I saw this play performed here in San Francisco with the great Estelle Parsons in the role played by Streep in the film, and I am also a loooooongtime Juliette Lewis fanatic, so I could not be more excited for this.